Influence People’s Perceptions - Can You Shape Their Reality?Influence People’s Perceptions - Can You Shape Their Reality? One of the great books I’ve read about marketing is Positioning by Ries and Trout. It is considered a classic and one of the definitive books on the subject. The authors make the simple assertion that marketing is ultimately about accepting that perception is the reality. Influence people’s perceptions and you can shape their reality. From an investment standpoint, George Soros has made enormous sums of money through his theory of reflexivity which is tangentially tied to Heisenberg’s Uncertainty Principle, famously developed for the weird and whacky world of quantum physics. The mere act of observing can change that which is being observed. One cannot simultaneously know the position and momentum of a particle, since trying to measure one makes the other one impossible to discern. Soros has taken a similar approach in the world of investing and economics. Before I get to Soros’ description of his theory I will provide a real world example of how his theory could have helped one avoid big losses in the housing market during the subprime bubble. During the housing, boom lenders could see collateral rising in value (homes) and observing this gave them more confidence to extend greater amounts of credit to homeowners (refinances) and future buyers. The act of expanding credit (in aggregate) creates more buying power which, in turn, should raise the prices of homes, which leads to more lending. A perfect example of the observer influencing what is observed. One could have seen how this could have lead to disastrous consequences. Of course, the question is when an unsustainable trend will come to an end. It usually goes far longer than the rational mind can comprehend precisely because it has escaped out of the orbit of rationality. This was the case for the housing mania. In an opinion piece Soros penned in the Financial Times in 2009, he went into some detail about the key ideas of his theory. I will end the blog quoting his beliefs about perception and human fallibility in an effort to come full circle. This is what he had to say about reflexibility. I can state the core idea in two relatively simple propositions. One is that in situations that have thinking participants, the participants’ view of the world is always partial and distorted. That is the principle of fallibility. The other is that these distorted views can influence the situation to which they relate because false views lead to inappropriate actions. That is the principle of reflexivity. The concept of fallibility is far less controversial. It is generally recognized that the complexity of the world in which we live exceeds our capacity to comprehend it. I have no great new insights to offer. The main source of difficulties is that participants are part of the situation they have to deal with. Confronted by a reality of extreme complexity we are obliged to resort to various methods of simplification—generalizations, dichotomies, metaphors, decision-rules, moral precepts, to mention just a few. These mental constructs take on an existence of their own, further complicating the situation. I recently came across an interesting video summarizing research done by a psychology professor at Colorado State University. Her expertise is related to perception. She was interested in studying whether baseball players with higher batting averages saw the ball differently than those with lower averages. She interviewed softball players after they finished their games and she showed them a poster board with different circles on them and she asked the participants which circles were the same size as the softball. 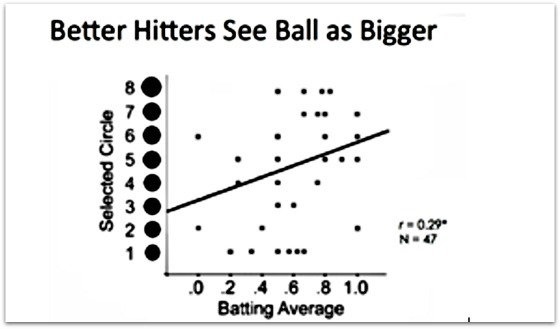 What her survey results showed was that the batters who hit better saw the ball as bigger than it really was as the scatterplot below depicts. While it’s by no means a perfect fit given how widely scattered the dots are on the chart, there is still a positive correlation. This makes sense. The question is whether seeing the ball bigger creates the better performance or could better performance convince them they saw the ball as being bigger? Or do they both feed off of each other? According to Ries and Trout, this does not really matter because perception is the reality. From an investment standpoint, I have written in my book and on my blog about the Munger Moment. This has some application to the idea of better batters seeing the ball as bigger than it really is. I recently did an interview where I am asked to discuss the Munger Moment and how it has been important to CWS, especially over the last five years. Rather than rehashing it, I invite you to listen to the interview and hope you find it interesting and informative. It starts at 8:18 in the recording. Warren Buffett has said repeatedly he doesn’t want to swing until he has a big, fat pitch right down the middle of the plate that he knows he has a high probability of hitting when it comes to making investments. By having a deep understanding of one’s circle of competence and the gumption to take action when it is called for, investors can make great strides towards achieving their financial goals when those rare, fat pitch opportunities present themselves. 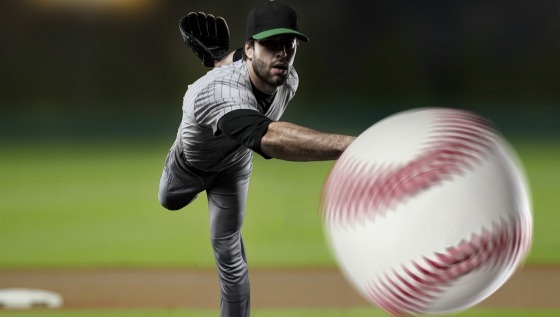 Just like pitchers make mistakes and patient batters take advantage of them, so do markets. Warren Buffett says that risk is permanent loss of capital while Charlie Munger says that it is not knowing what you’re doing. Munger says to wait for opportunities that appear in areas in which you understand well and can determine what truly represents a compelling risk-reward relationship. And when they do appear, go for it and swing the bat aggressively! If you don’t have a particular expertise then you are probably better off in index funds or a somewhat concentrated portfolio of some of the best businesses in the world that will be around decades from now. Most of us don’t like to admit that we just don’t know and this hubris can often lead to an unequivocally different and disappointing reality versus one’s initial perception. Of course, our negative investing outcomes can then change our perception to one of feeling incompetent and a failure such that we never make another risky investment again. Thus, the pendulum can swing the other way as perception leads to actions which result in a different reality that changes our perception which then changes our reality. It can be difficult to learn from our mistakes because it is such an affront to our pride and ego. This is particularly the case when we are feeling pride, envy, regret, fear, or greed. We are wired to make suboptimal decisions when it comes to investing. When we should be waiting for fat pitches or investing consistently over time, we swing at ones out of the strike zone by following the herd or by trying to time the market. We are wired to make suboptimal decisions when it comes to investing. When we should be waiting for fat pitches or investing consistently over time, we swing at ones out of the strike zone by following the herd or by trying to time the market. Soros does a very good job of articulating the power of perception, how it can shape our reality, and how this takes place. The following two paragraphs from the Financial Times piece get to the heart of how perception and reality can intersect and create distortions in our thinking when it comes to investing. Next time someone tries to sell you something or you are trying to convince yourself of taking a certain action, never forget that perception can often be reality. Do you agree? 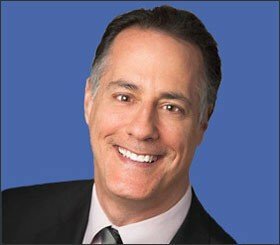 ‹ You Gotta Serve Somebody – Who is the Fed Serving?